Beautifully made, and diligently installed by Admiral, whatever style, size or design and finish you choose, your conservatory will bring new life and energy to your home. A conservatory gives you room to relax, room to dine and room to work or play. You get the appeal of being outdoors with the comfort and convenience of being inside – all year round. A perfect way to give you extra space and to add a new dimension to your home. 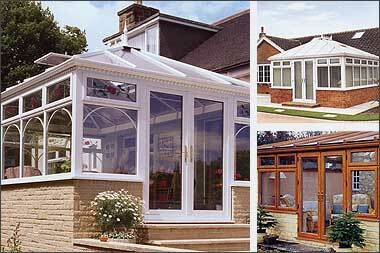 Whatever your needs, Admiral offer a huge variety of conservatory styles to suit your home. Designed by professionals and built by craftsmen, our conservatories are expertly constructed to your personal requirements using only the finest window and door systems, your conservatory will stay looking good for years to come and is guaranteed to match your needs. Admiral has a reputation for a thoroughly professional approach and pride ourselves on the friendly and knowledgable guidance we are able to offer at every stage of design and installation. The service is complete, right through from helping you to plan and choose your conservatory that best matches your needs and home, to help and guidance with planning permission and building regulations. Admiral leave nothing to chance. Our Conservatories stand out from the rest. We offer the widest possible range of high quality Conservatories, to suit all types of properties. Enquire now for a no obligation quotation.